Oh no! This nice girl does not have any new things in the wardrobe, and she wants to buy something fashionable and beautiful. 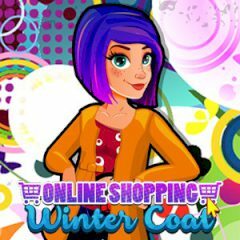 Choose in online store coolest things and fix everything if it is necessary. Good luck to you! Well, are you ready for some online shopping? Cause winter is here and Lisa has to renew her wardrobe, because all her winter clothes are boring. So, could you help her find some nice and trendy clothes online? Just try to help cute Lisa browse on the internet and find the best online store. Once you found it, it's time to create a new outfit and order it and you will be not disappointed. So, are you ready for that? Then just go ahead and play the game. Well, is everything clear? Then just do it right now.